FEBRUARY 28, 2010 was a special Sunday for our 44 Methodist churches when they used a common set of liturgies during their worship services and viewed a video clip encouraging church members to come together to bless the community. 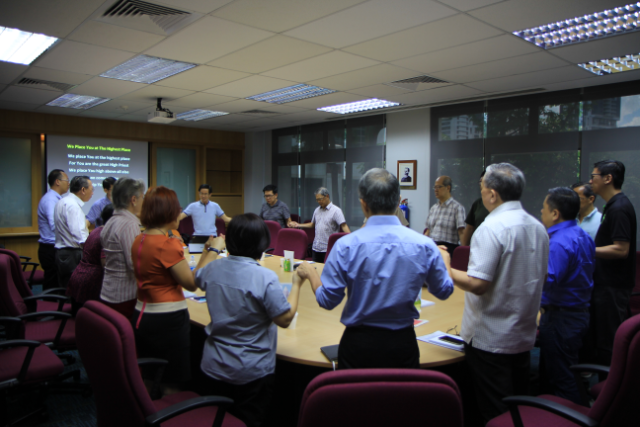 This marked the oﬃcial launch of the 125th Anniversary of The Methodist Church in Singapore (MCS) this year. The year-long celebration, which has as its theme “Together in God’s Mission”, will include a Community Outreach Project, the Aldersgate Convention 2010, the publication of a Commemorative Booklet, a Young Methodist Leaders’ Conference and a Methodist Heritage Day. Also marking the start of the 125th Anniversary programme on Feb 28 was the launch of the Community Outreach Project, aimed at blessing the chronically poor in Singapore – the bottom 10 per cent of the socio-economic ladder who subsist on an average per capita income of $350 a month. It is estimated that there are as many as 80,000 such people. 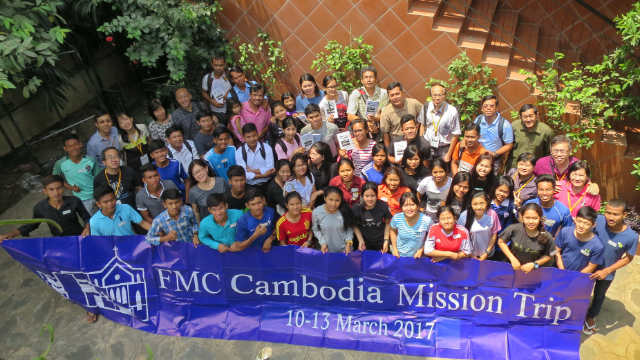 The Methodist Welfare Services (MWS), which is spearheading this project, is encouraging churches to get their members to come together to participate actively so that this will be a meaningful church-wide programme. e plan is not only to give financial aid to the poor, who need it greatly, but also to reach out and befriend them in the love of Christ. Church members who sign up as befrienders will be briefed and given guidelines on visitations by the MWS. 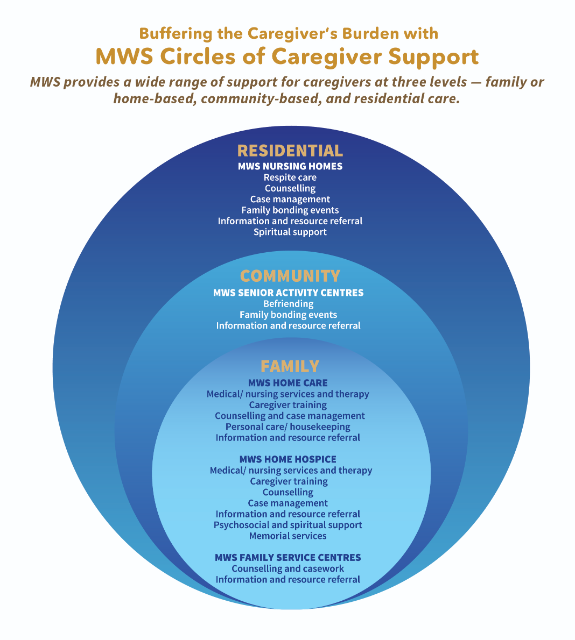 The target sum to be raised is $1.25 million, and this will be disbursed to the chronically poor, with each family getting $125 a month for a period of 12 months. is amount, which can provide help for 834 families, is achievable given that there are about 38,000 Methodists in Singapore. 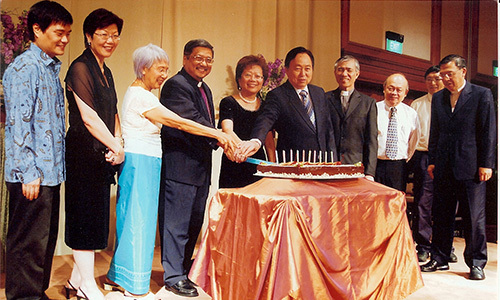 Another major event is the combined Aldersgate and 125th Anniversary anksgiving Service at Paya Lebar Methodist Church in Boundary Road on May 22. e two-hour service, which will begin at 5 pm, will be the culmination of the Aldersgate Convention 2010. The Convention will begin with a Wesleyan Hymn Festival to be put together by the Methodist School of Music at Victoria Concert Hall on May 19 at 8 pm. ere is no charge for the one-and-a-half-hour Festival, but admission is by tickets. To enable more people to enjoy the Wesleyan hymns and songs, there will be a preview at the same venue on May 18, beginning at 8.45 pm. The Festival will feature a 100-voice Festival Chorus, the ACJC Brass Ensemble, MGS Handbell Ensemble and Paya Lebar MGS (Primary) Choir and Angklung Group. It will be directed by Professor Michael Burkhardt, an American festival director, organist, arranger and composer internationally known for his innovative and inspiring hymn festivals and his creative work with children Prof Burkhardt will also conduct two workshops – “Leading Hymn Singing” (resources for creative hymn playing for organists, pianists, worship leaders and cantors) on May 12, and “Working with a Child’s Voice” (musical resources for children’s choir directors and Sunday School teachers) on May 15. On May 21, Bishop Dr Robert Solomon and the three Annual Conference Presidents – the Rev Dr Chong Chin Chung (Chinese Annual Conference), the Rev James Nagulan (Emmanuel Tamil Annual Conference) and the Rev Dr Wee Boon Hup (Trinity Annual Conference)– will hold a Dialogue with church members at Paya Lebar Methodist Church from 7.30 pm to 9.45 pm. This is a departure from the past practice of inviting Wesleyan scholars and preachers to be guest speakers at the Aldersgate Convention, the reason being that this year is the 125th Anniversary of the MCS and it would be useful for Singapore Methodists to listen to, and interact with, our own leaders. Besides, church members often lament that they have no, or few, opportunities to interact with the Bishop and the three Conference Presidents. This is an opportunity for them to ask all they wanted to know about their faith, Methodist distinctiveness, roots and heritage of Methodism and other topics that might have bothered them. The combined Aldersgate and 125th Anniversary Thanksgiving Service to be held on May 22 will, for the first time, see a colourful procession not only by the churches but also the agencies and schools at the start of the worship service. e Bishop will give the message. At the service, the top three winners of the 125th Anniversary Logo Contest, held last August, will be recognised and presented with their awards. e winning logo, seen in this Newsletter, is the work of Ms Gwendolyn Tan of Barker Road Methodist Church. e second and third prize winners are Ms Shirley Koh of Bedok Methodist Church and Mr Abel Amir of Jurong Tamil Methodist Church. 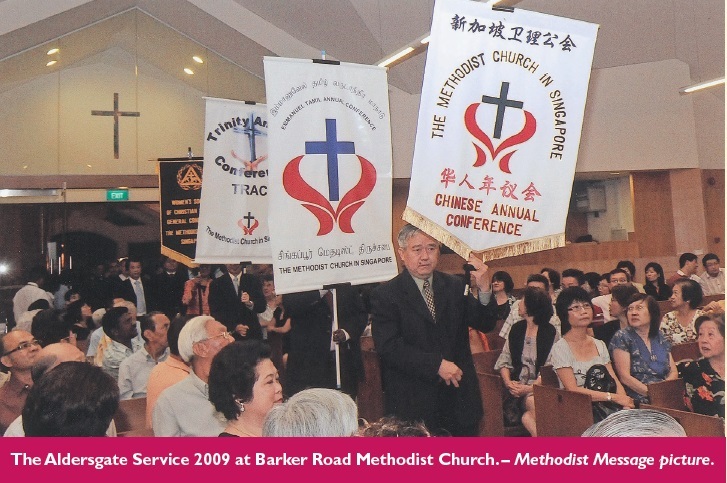 An Anniversary Commemorative Booklet, Methodist Milestones, being written by Mr Earnest Lau, the MCS Archivist, will be launched around this time. Copies in the English, Chinese and Tamil languages will be distributed to all church members. 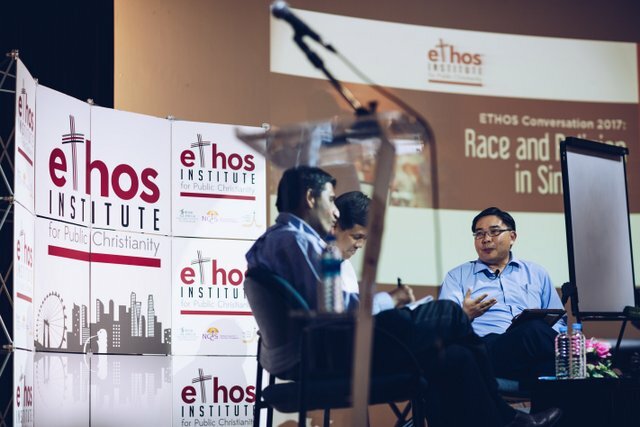 The second half of the year will see two other events – a Young Methodist Leaders’ Conference, to be held in Pulai Springs, Johor, from Sept 10 to 12; and the Methodist Heritage Day on Oct 31, organised in support of the Community Outreach Project.